The Gullah language is the only distinctly African American creole language in the United States. It has indirectly influenced the vocabulary of the American South and has contributed to traditional Southern speech patterns. Means: The speaker is referring to someone who doesn’t lie. Means: Describing someone who is young. Means: I forgot or I am forgetful. Means: Everyone favors his own house. Means: What is hidden can be very important. The Gullah language, typically referred to as “Geechee” in Georgia, is technically known as an English-based creole language, created when peoples from diverse backgrounds find themselves thrown together and must communicate. Through research it has also been found that there is in particular, a strong connection between the Gullah language and the Krio language spoken in Sierra Leone. This is the native language of the Krios, the descendants of freed slaves, but it is also their national language, the most commonly spoken language in Sierra Leone today. The word, “Gullah” is thought to be derived from “Angola”, as many slaves originated from that part of Africa, or “Gola” a tribe on the Sierra Leone-Liberia border. Listen and be mesmerized by beautiful, lilting “song language” of Gullah. 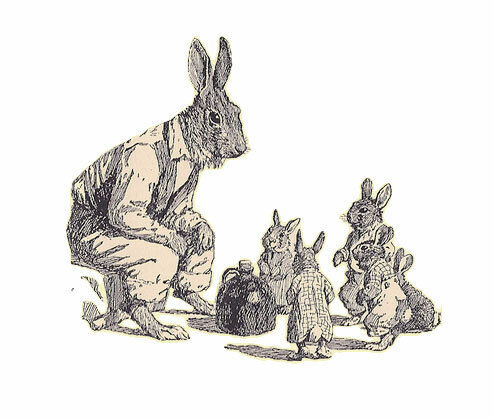 Popularized in the Uncle Remus stories and later by The Walt Disney Company, the Brer Rabbit fables grew out of traditional African and later, Gullah, oral storytelling, known as trixter tales. The Gullah possess a rich tradition in storytelling, where animals, people and even God play roles in beloved stories that have been passed down through generations. Akin to the Africa-based “trixter tales”, Gullah fables often center on animals taking on human personalities and finding themselves in predicaments sometimes outlandish, and always humorous. Watch out though, you may just learn something! Again, as the Gullah who lived on the Sea Islands, like Hilton Head Island, were permitted more self-sufficiency and freedom due to their relative isolation, their language and myth traditions likewise continued to evolve, enduring much longer than their mainland counterparts. It is due to this ‘miracle of isolation’ and to those who continued to embrace ‘the old ways’, that the Gullah and their culture has survived into the 21st century.